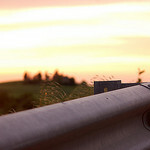 Highway Guardrails: Do They Prevent or Cause Injuries in Auto Accidents? When a car crash occurs in Spring Hill or Brooksville, you may hope to have guardrails near your location to keep you from travelling over an embankment and into a body of water or into a ditch. Your taxpayer dollars go towards paying for infrastructures like guardrails to keep drivers in your community safe. Unfortunately, there have been serious concerns raised about some of the guardrails installed in Florida and other parts of the United States. Earlier this year a lawsuit was actually filed after an accident near Orlando in 2010 where a driver lost part of his leg. According to the suit, the accident caused the driver to crash into a guardrail, which then sliced through his vehicle and into his leg. The guardrail involved was an ET-Plus guardrail made by Trinity Industries. The ET-Plus guardrails as well as State Departments of Transportation have been the targets of numerous other lawsuits after other victims were injured in car crashes where guardrails contributed to their injuries. However, Trinity Industries argues that the injuries were caused either by the drivers or because the guardrails were installed incorrectly. In the most recent lawsuit, the Florida Department of Transportation has been named as a liable party after claims were made in court that the guardrails were incorrectly maintained and repaired. The guardrail involved in the Orlando area accident was allegedly damaged in a previous crash and was not repaired using ET-Plus replacement parts. Some of the repairs were allegedly made using old parts that were apparently not approved for use on highways since the 1990s. Regardless, there is still speculation about the safety of ET-Plus guardrails themselves. The ET-Plus guardrails were apparently re-designed in 2005, when the beginning of the guardrails was changed from five inches to four inches and a part known as the feeder channel was changed from over fifteen inches to under fifteen inches. According to many experts, this may be the reason the guardrails operate differently. Guardrails, when working properly, should stop a car from going over a cliff or into a river. Essentially, they are supposed to stop the car and then push it off to the side. The lawsuits involving ET-Plus guardrails claim that the guardrails stopped the vehicle but did not sweep the car to the inside, but rather, caused parts of the guardrails to enter the vehicles, leading to amputations or killing drivers. A former industry business owner filed a whistleblower lawsuit claiming that the ET-Plus guardrails are dangerous. In a recent study, these collisions involving guardrails were examined and it was found that more research needed to be conducted before it could be concluded whether these guardrails were less safe than other models. If you been injured in a car accident and believe a guardrail caused your injuries, a Hernando County Injury Lawyer at Whittel & Melton can help review your case and advise you on how to proceed. For a free consultation, please call us today at 352-666-2121 or contact us online.